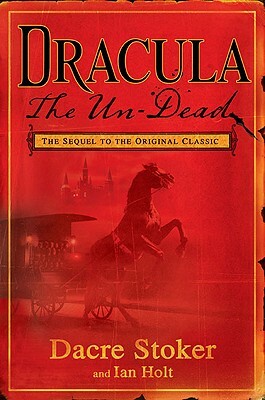 Bram Stoker's Dracula is the prototypical horror novel, an inspiration for the world's seemingly limitless fascination with vampires. Though many have tried to replicate Stoker's horror classic- in books, television shows, and movies-only the 1931 Bela Lugosi film bore the Stoker family's support. Until now. "Energetically paced and packed with outrageously entertaining action, this supernatural thriller is a well-needed shot of fresh blood for the Dracula mythos." "The authors (Stoker is a descendant of Bram, and Holt is a noted Dracula historian) skillfully explore the nature of evil while weaving together several complex plotlines throughout this mesmerizing story. Readers who enjoy dark fantasy with fast-paced action will plow through this book, not wanting to stop."